By reaching a top speed of 467 kilometres per hour, the team beat the record they set at last year's competition by almost 50 per cent. 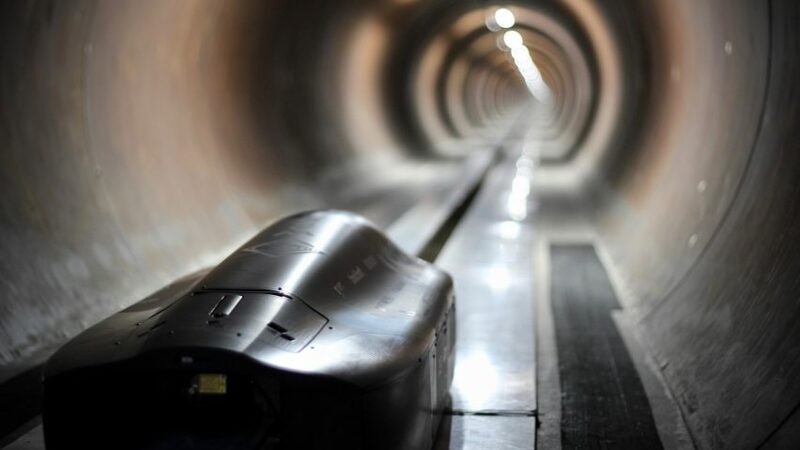 SpaceX's Hyperloop Pod Competition challenges university teams to build the best capsule for its high-speed transportation system, first mooted by Musk in a white paper in 2013. As a point of difference to previous competitions, the 2018 competing pods had to be self-propelled. "That was optional in the previous years; it was also possible to use SpaceX technology," said WARR Hyperloop team leader Gabriele Semino. "But we've had our own drive since 2017. This meant we were able to further develop our concept in principle." He said for this year's entry, the team focused on reducing weight while increasing drive performance. They built the shell from lightweight carbon fibre-reinforced composite materials and designed a more aerodynamic shape. They also replaced the previous model's 50-kilowatt motor with eight smaller motors. "The tube in front of the SpaceX building in Los Angeles is only 1.2 kilometres long, and the pod has to accelerate to full speed and then brake again within this distance," said Semino. "This is a gigantic challenge. Our pod accelerates five times faster than an airplane during take-off." At just two metres long and 30 centimetres high, WARR Hyperloop's pod is not fit for human transportation and can't be directly scaled up. "The technology is still in the development phase and our prototypes are built with the initial objective of testing various technologies," said Semino. "However, this way we can contribute to making the hyperloop vision a reality one day." The idea of hyperloop transportation has captured the imagination of some of the world's top engineers, architects and designers over the last five years. Foster + Partners and BIG are both collaborators with Virgin Hyperloop One, which is working on a system to connect Dubai and Abu Dhabi in 12 minutes, while PriestmanGoode has designed cabins for Hyperloop Transportation Technologies, which is conducting feasibility studies in India, Europe and the USA.